GroundWorks Dance Ensemble of Northern VA is a collection of professional teaching artists working to create meaningful, creative experiences in the community, classroom and on stage. Our teaching artists are working in classrooms all over the Greater Washington DC region, fostering educational and performing experiences between students and professional dancers. We believe the most valuable teaching experiences happen when students and teachers learn from each other, share in the creation process, and connect to their community. For students interested in exploring dance as a member of a performing company, the GroundWorks Dance Ensemble provides its members opportunities to perform and work along side local choreographers and guest artists. Dancers from 7 years through adult take the stage together to develop as moving and performing artists. Our goal is to stress artistic process while developing a foundation in the art of modern dance. 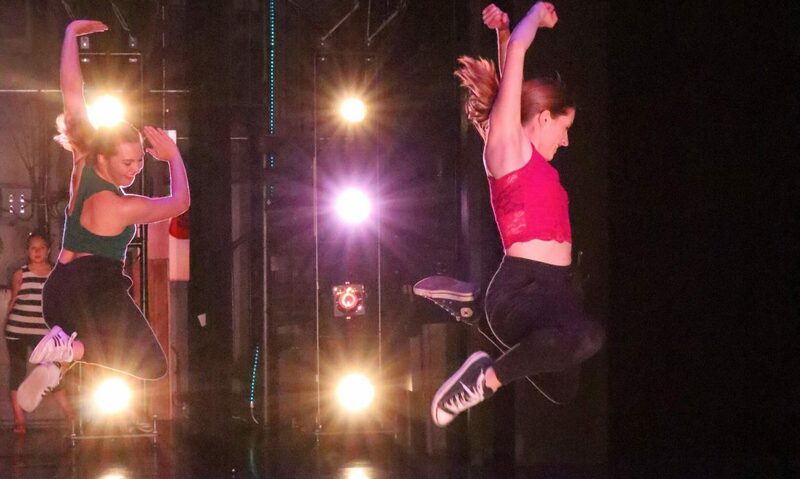 The GroundWorks Dance Ensemble performs throughout the year in venues such as the International Children’s Festival at Wolf Trap, the Reston Festival and the Reston Community Center’s Center Stage. GroundWorks is a demanding program which requires a dancer’s full commitment for 30+ weeks of classes and rehearsals from September through June. Dancers are expected to attend all required classes, including technique classes, rehearsals and performances.